Paul Simpson, co-author of Implementing ISO 9001:2015 looks into how applying the Process Approach can make reregistering for ISO 9001:2015 easier than you think. It’s highly likely that many of us seeking improvement in effectiveness and efficiency of the way our work functions see process analysis and mapping done well as part of the solution. However, when done badly they can get in the way. We’ve probably all seen the extremes – on the one hand perhaps a wall full of mind-sapping detail, on the other a series of banal boxes neither helping staff and leaders. So this quote, ‘Everything should be made simple as possible, but no simpler‘ attributed to Albert Einstein, is a useful stimulus in thinking about making process analysis useful, and to help ISO 9001:2015 registration. The point of analysing our processes is to ensure we understand how each process works and what we need to do as individuals, leaders and organisations to ensure the process operates efficiently and delivers effectively. So that’s it – simple! We sit down flowchart the process step back and say ‘Abracadabra’ and we’ve stepped into a state of Nirvana through the Process Approach. If only it were so. The published quote from Einstein that comes closest to ‘our’ subtitle is: ‘It can scarcely be denied that the supreme goal of all theory is to make the irreducible basic elements as simple and as few as possible without having to surrender the adequate representation of a single datum of experience.’Now apart from being a lot less easy to read and understand this more complex quote covers a lot more ground and options that we will address later. We have to break each process down into as few simple steps as possible based on our experience of how they work in real life. And we must ensure that we understand their relationships and contribution to the other processes in the overall system in generating outputs for the customer. So for each process step, we need a more profound understanding of the activity than just to type a simple flowchart box description. Taking an everyday example: most manufacturing processes and many service deliveries have a final flowchart box: ‘Deliver goods / Drive to service delivery point’ – Abracadabra again! Again, if only it were that simple. Most blog readers have real world experience of driving. In the UK where I drive most, it is notoriously unpredictable and the same applies for every national capital and many trunk roads in most countries around the globe. If we are to truly understand the process approach we need to spend time and effort on that one box on our flowchart ‘Deliver goods’. The process approach says you have a good understanding of each activity element and can control them to satisfy your customer. Licence to drive vehicle class? Competent to act as your organisation representative out on the road? Time on tachograph to complete planned job? Roadworks on the primary route? Alternative routes in the event of a disruption? Major events (sporting / social) along planned route(s)? Unusual expected traffic pattern (holiday periods)? In order to demonstrate they have ‘determined’ their processes (under the requirements of ISO 9001:2015 Clause 4.4.1) organisations need to answer all bullets above (and a lot more I haven’t thought of). Many answers won’t come from the same area the driver is in but may be carried out by individuals working in other processes: recruitment / licence checking (perhaps in HR), or traffic monitoring (in a central logistics function) for example. So our organisational complexity builds and we have a range of support processes influencing our ability to ‘Deliver’ – a single box in one order fulfilment process. Obviously, this is now a lot of work but it does have a purpose: By understanding our process better we are able to improve it and cope with eventualities as and when they happen. Engineering and process management are sectors that are dominated by a male workforce. While it may seem to be a ‘man’s world’, Susannah Clarke, co-author of Implementing ISO 9001:2015: Thrill your customers and transform your cost base with the new gold standard for business management has over 30 years’ experience in this industry. 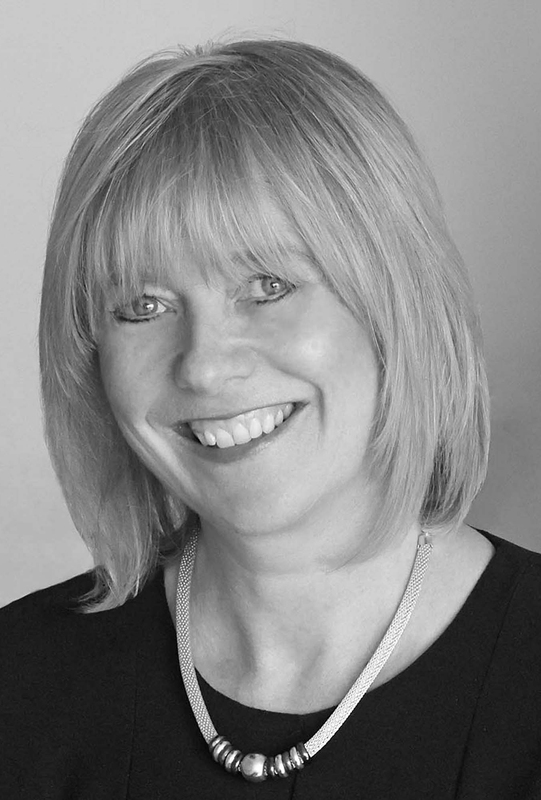 As one of the Managing Partner’s at Process Management International, (PMI), Susannah promotes quality management, writes articles, speaks at conferences, coaches and consults on organisational improvement. In between promoting her book and working at PMI, Susannah kindly answered some of our questions about what it’s like to work in such a male-dominated sector. What is it about engineering and process management that appeals to you? My father is an architect, so I guess the root of it all comes from that. I was amazed by the need to be precise, which at first seemed tedious as a child, but then watching the result, seeing something innovative and creative be built, from those thousands of small details I found quite inspiring. Having said that, in my business life I haven’t always been a fan of process. I struggled to see the link into the service world in which I was working, and in the early days made that common mistake of imagining that process made work restrictive, boring and repetitive. However as my business grew, and more people had similar jobs to perform, I soon realised that without process, mistakes were made which resulted in unhappy customers and employees spending time on fixing the mistakes as opposed to delivering what the customer wanted. So we started to change that and worked on creating robust processes for the work that was being done and as a result found ourselves able to go to customers and make suggestions, show them how we could do things better, faster and right first time and not only did that make the customer happy, it meant they gave us more work! That appealed to me, naturally and it also appealed to the people working with me because they could think about the art of the possible and not be limited by the amount of ‘fire-fighting’ and problem solving they had to do. Have you ever come across people who weren’t willing to be directed by a woman? To be honest no, I haven’t. That’s not to say I haven’t dealt with some difficult people, but inevitably there is more to the problem. I’ve always worked hard to sit down with people, customers and staff, to find out what’s going on, what bothers them and what I can do to help the situation. At PMI (Process Management International) we call it ‘Giving people a good listening to!’ My experience has been that when people really believe you care, when you’re not just paying lip service to their complaint, then they start to work with you and become a returning client. After that, it doesn’t matter whether you are a man or woman they are happy to work with you because they trust you. There are many women working as business consultants. What made you switch from large companies like NatWest and GSK to the world of engineering and process management? When I left NatWest I became self-employed and started my own business as a trainer. I’ll be honest, at that time I was very against working for a large company, having gone through Black Monday in the City and seen the departure of many members of staff. So I was very happy to be working as my own boss. My opportunities grew and I had to start sub-contracting work to other trainers in order to service all the customers and then eventually I merged my business with another very similar size business that was also run by a female owner-founder and created a new consultancy, Prelude. The aim wasn’t to avoid large companies, it was to have the freedom to shape our own company and community – to work with a group of like-minded people who wanted to do the best job for a customer. We could be nimble and adapt to our environment to offer new services. It was during this time that process management became important to us in order to service new and existing customers and continue to grow. We were also flexible in our hiring policy and had several women who were employed part time doing fantastic jobs, helping them through their maternity leave and return to work as it suited them. As a consequence these employees were incredibly loyal to us. Around 2004/2005 one of my clients asked us to take on managing a service for training administration for a large process improvement/lean six sigma programme they were rolling out with a company called PMI (Process Management International). That was the first time I had worked with the company and I was impressed by how they were organised and the processes they had in place to manage the training. We continued to work together and develop the opportunities beyond that original client. In 2007 I had sold the business and completed my earn out and PMI offered me some consultancy work with them. They also offered me the chance to go on a Lean Six Sigma Green Belt course, which almost blew my mind! I learnt so much in such a short space of time and had so many ‘ah ha’ moments. After that there was no going back. I’m not saying I don’t get carried away and sometimes forget those principles, but I’m lucky enough now to work with some brilliant consultants who have many years of experience in this field and they are masters at catching me before I shoot off in the wrong direction. I still think of myself as someone who works with large companies. I just don’t work for them! We still have a dearth of women in manufacturing and engineering. Read any of the studies on these sectors and they indicate that around one third of the manufacturing workforce and only around 15 to 20% of the engineering workforce is female. Research attributes this to gender pay inequity, work-life balance, insufficient women at the senior executive level and so on, but realistically women only become really aware of these challenges once we have entered industry, don’t we? So isn’t the question more about how do we make a career in these sectors more attractive to women? Fundamentally I believe we need to start early with the right education in schools and the elimination of stereotypes. When I was 16 I went to a boys grammar school. There were only eight girls in my year, so the school didn’t cater for ‘girl’ subjects. I studied woodwork, graphics and metalwork along with the boys, all the girls did, and I rowed in a coxed four because there weren’t enough of us to make a girl’s team for netball or hockey. I think this helped to break down traditional stereotypes for me. The other thing I found was that from age 11 onwards the boys had specific lesson time allocated to debate current affairs. They had been taught and encouraged to create cohesive, constructive arguments as part of their education. They were preparing the boys from an early age to have a view, be able to express it and learn how to prepare for such discussions. I know we do more of that in our schools today, certainly my daughters are proficient at creating a strong argument! But I still put my head in my hands when I look at the Design & Technology options available to them and their female bias. There are no limits except those you impose upon yourself. That’s the best advice I could give a woman. Understand Systems Thinking, regardless of which sector you work in, whether it is service or manufacturing. Get to know W. Edwards Deming’s System of Profound Knowledge, Systems Thinking, Theory of Knowledge, Variation and Psychology. The four elements are essential to your own and your organisation’s success. Once you understand these and have a decent personal kit bag of tools and methods you can call upon in the different situations or challenges you find yourself, you will be amazed at how good you feel about what you are doing and what you can achieve. Be naturally curious rather than jumping to solutions. The more you can ask about what’s going on, using great open questions which avoid making others feel defensive, the more people will open up to you and involve you so that you can learn about the current situation and contribute towards what improvements may be possible in the future. What have you found the most challenging aspects of working in this field? There’s so much to learn! But that’s good because I really enjoy learning. However it’s important to remember when to ask for help from others with more knowledge and experience. Influencing others to trust the methods comes a close second. People get into their own habits. They have always done things their way or the way they were told, so persuading them to suspend judgement, try new approaches, change their thinking, is naturally sometimes hard work. There is nothing quite like working with either an individual or team who are struggling and gradually seeing their lights come on as they start to realise what options are open to them, that there are some theories they can have a go at. There is also something about people realising that they don’t always have to be right first time. I’m not suggesting that people should go off and make huge changes without considering the consequences of course. But helping people realise that they can consciously try small changes, test out a theory or two, see what results they get, learn from the results and then adopt (do it), adapt (change it) or abandon (discard it completely), is very liberating for them. People can get obsessed with things being either right or wrong. I don’t think that’s helpful. I think that prevents people trying new ideas, so giving them an environment, a method, which enables them to make mistakes in a controlled way is amazingly rewarding because they become so enthusiastic about what’s possible by working that way. Is there anything you think you would have done differently knowing what you know now? It is absolutely true that “If I knew then what I know now I would have done things differently, deliberately rather than based so much on gut feel.” I started my first business when I was about 22 and I knew how to work hard and was happy to work hard, but I didn’t know anything about systems thinking or process management so I would have made different decisions with data. In 2007 I studied Executive Coaching and Performance Coaching and that has really had a huge impact on my ability to listen, ask questions and coach others and whilst I wasn’t bad at that before, I could have been so much better if I had really developed those skills earlier in my career. Paul Simpson, co-author of Implementing ISO 9001:2015 looks into how taking risks and opportunities is key when building a business but can the updated ISO standards help to deliver that elusive ‘pot of gold’? One of the big new ideas in the 2015 edition of ISO 9001 is ‘Risk Based Thinking’ and if you are to believe the Twitterati the concept is akin to the subject of Edvard Munch’s painting ‘The Scream’ as the quality management landscape turns vibrant orange behind them. But before the hysteria needle hits 11 let’s think back to the real world outside the quality manual. All people running organisations look at risk and opportunity, they are two sides of the same coin; when an entrepreneur starts their business risk and opportunity are always front and centre in their mind. Wherever they have come from, they have identified an opening to start a business, make a living, and grow it to the point where it gives them an income with the opportunity of a pot of gold for their retirement. This future is, however, not certain; there will be difficulties along the way and these risks, left unmanaged, could lead to a loss of income and, ultimately, to their business failing. The entrepreneur recognises these risks come in many forms and many are related to quality: do I have the right products and services for my target customers? 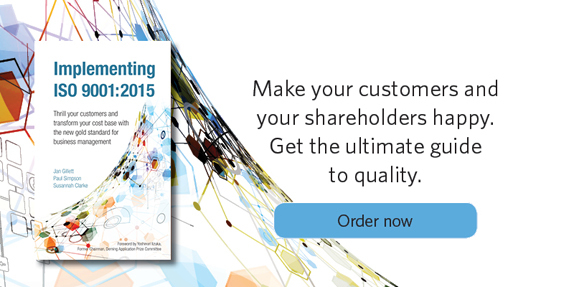 Can I control production and service delivery to consistently meet those customer needs? Can my suppliers keep up with my demands and maintain quality levels I need? If I can manage those risks at that level then the business will succeed and I can grasp all the opportunities, including that elusive pot of gold. Moving forward in time as the business continues to thrive and has grown, our entrepreneur has moved upstairs to the board room as CEO and has managers and teams dealing with day to day business while she buys in high priced consultants to lead some blue skies strategy sessions. Strategic risks haven’t really changed; an incorrect strategy still has the capability to bring down our grown-up start-up. Tactically the business can cope more easily with risk as it has multiple customers buying a range of products. On the down side tactical errors can lead to an erosion of hard earned brand reputation as all our customers inhabit the same system and talk to one another – see the earlier blog on organisational context (hyperlink) for examples. Moving out of the board room along to the shop floor and offices where ‘business as usual’ happens risk looks a little different but it is just as important it is recognised and managed. With every order comes a risk the organisation will misunderstand their customer’s needs so, at this process level, there have to be checks and balances. Individuals working with their CEO’s delegated authority accept orders and enter into contracts including the inherent risks a legal contract carries. At the same time on the shop floor all employees are involved in managing risk. Some develop specifications and standards (perhaps in a separate design office); some manufacture products or deliver services that they believe meet those standards. Throughout the process managing risks leads to delivered products and services meeting specification, satisfying customer needs and customers paying their bills, thereby allowing the organisation to realize the sales opportunity and contributing to our entrepreneur’s vision of a pot of gold. If the above risks and opportunities are present in daily organisational life why do we have concerns for the quality professional’s ability to inhabit this space and over what our certification body auditors are going to ‘do to us’? The revised clauses of ISO 9001 create an opportunity for us to revisit and realign our processes to ensure our systems deliver what our customers and stakeholders want. There are, of course, risks with changes to the standard but perhaps we can focus on the opportunities presented and maximize them instead. 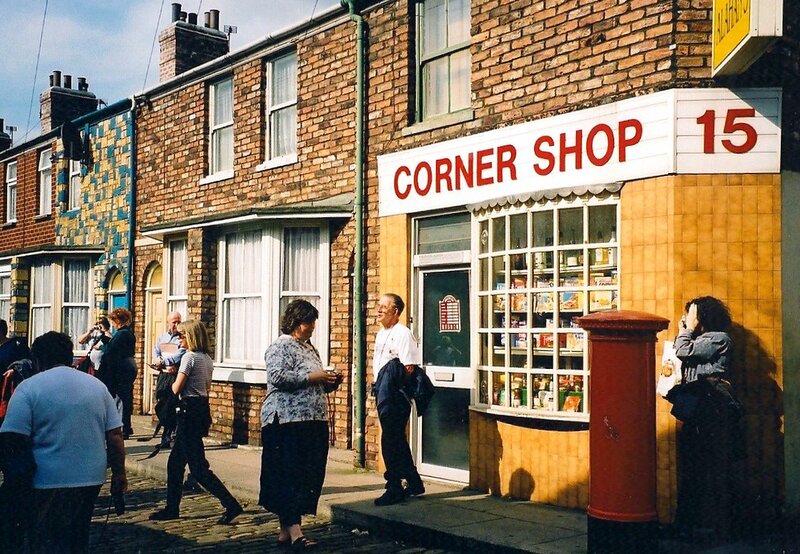 Paul Simpson, co-author of Implementing ISO 9001:2015, argues that while all organisations understand the markets they operate in, it’s through using the example of a corner shop that we can gain insights into how to apply this knowledge to satisfy the ISO 9001:2015 requirements. I live in a village where my local shop owner has a very good idea about who her customers are, and their buying patterns. She knows her regulars and those who pop in once a month for a pint of milk late on Sunday. Each time a customer purchases something it is scanned and goes through the till and she gets sales reports as often as she wants. Her staff make a note when someone asks for something not in stock and, periodically, she sits down and decides whether the current stock holding needs to change. If, however, you haven’t done this piece of work effectively not only are you in serious danger of failing to meet your system objectives of being a sustainable, profitable business but you cannot hang your 2015 certificate on the wall in reception with a clear conscience. Susannah Clarke, co-author of Implementing ISO 9001:2015, asks whether the principles of DFMA are enough if customer delight gets overlooked along the way. I’m working on an interesting project in the construction sector at the moment, looking at how and what this sector can learn from the automotive and aerospace industry and the standards they now achieve, particularly related to Design for Manufacture and Assembly (DFMA). One area of interest is offsite construction, where modules are designed and built offsite and then transported to the site. The theory is that this approach will drive standardisation, lower costs and reduce the time to build/construct. Of course achieving these goals depends much on the original design being robust and appropriate for offsite construction – it’s got to fit together seamlessly on arrival with the other components. The importance of this was brought home to me a couple of weeks ago when I received a new desk for my home office. I had ordered it from a store for whom I feel a strong loyalty – many people do; it’s that kind of place. Therefore I had certain expectations: it would be high quality; it would look good; it would meet my needs with drawers, good access and easy sitting position, space to spread my work out on; it would arrive assembled. This is not a flat-pack store, so I was initially quite taken aback when the charming delivery men brought a very flat set of boxes into my house. I was not delighted! However, undeterred, I set about with my toolbox, the instructions and a willing helper. I’m going to spare you the photos of me, head in hands and manically waving my screwdriver about. I’m not even going to talk you through the one afternoon and three evenings that it took me to get the desk completely assembled, although if you want a laugh and a good idea of the challenges I faced, watch the video below of Stephen Fry tackling flat pack furniture assembly (warning: there is some ‘choice’ language!). I’m going to focus, instead, on what I learned, since it provides valuable insights for suppliers in terms of maximising customer delight. Set clear expectations – if you are supplying something which is not assembled, the customer needs to know. Instructions are great when they’re pictures, but not when they are too small. I was given an A5 booklet and the pictures were half A5. Components need clear labelling so that the customer can identify them easily, particularly when some items are very similar. I was struggling to tell a side panel from a back panel. Reduce the number of parts to make it simple for the customer. I had more desk pieces, drawer parts, handles, drawer runners, side panels, modesty panels and legs than I knew what to do with and enough fixings to open a local hardware store! Whoever plans the components, needs to mistake-proof it for the customer (assembler). I spent many hours trying to align the drawer runners with the pre-punched holes in the pedestal sides, unable to work out which hole was meant to match which. It was almost impossible. I’m assuming that the manufacturer was able to use the DFM principles. Each part individually looked fairly simple and therefore, one had a sense that it could be mass produced easily. But how did my desk compare to the principles of DFA? True, the store had removed any costs it would have incurred by assembling the desk itself, and was able to pass these savings on to me, the customer. But, false, it had not minimised the number of assembly operations; in fact it had a vast number of steps, components and fixings. I’m certain that whoever designed this desk was talented; now it’s finally up I’m really pleased with it in terms of both appearance and function. The manufacturer is obviously technically capable since all the parts did go together in the end. 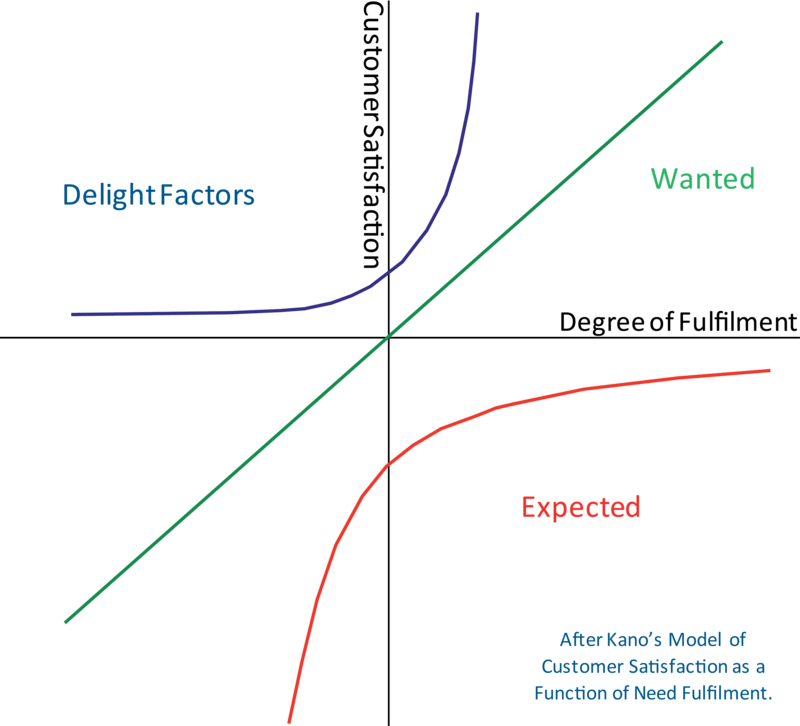 But they forgot one crucial aspect – customer experience. I don’t think this retailer had an eye on its customer; they don’t seem to have envisaged how I would feel on receiving my box of panels, screws and hard-to-follow instructions. I might hesitate before buying one of their products again.